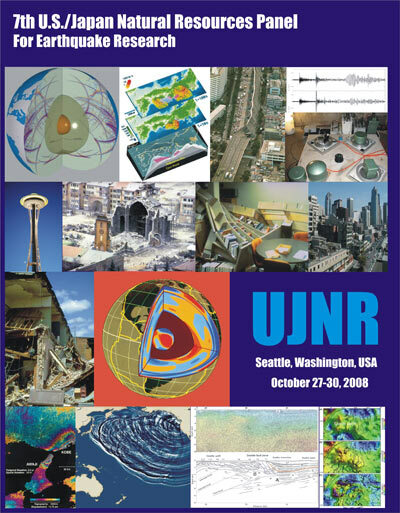 The U.S. / Japan Natural Resources (UJNR) Panel on Earthquake Research promotes advanced study toward a more fundamental understanding of the earthquake process and hazard estimation. The Panel promotes basic and applied research to improve our understanding of the causes and effects of earthquakes and to facilitate the transmission of research results to those who implement hazard reduction measures on both sides of the Pacific and around the world. Meetings are held every other year, and alternate between countries with short presentation on current research and local field trips being the highlights. The 5th Joint Panel meeting was held at Asilomar, California in October, 2004. The technical sessions featured reports on the September 28, 2004 Parkfield, California earthquake, progress on earthquake early warning and rapid post-event assessment technology, probabilistic earthquake forecasting and the newly discovered phenomenon of nonvolcanic tremor. The Panel visited the epicentral region of the M 6.0 Parkfield earthquake and viewed the surface ruptures along the San Andreas Fault. They also visited the San Andreas Fault Observatory at Depth (SAFOD), which had just completed the first phase of drilling into the fault. The 6th Joint Panel meeting was held in Tokushima, Japan in November, 2006. The meeting included very productive exchanges of information on approaches to systematic observation of earthquake processes. Sixty eight technical papers were presented during the meeting on a wide range of subjects, including interplate earthquakes in subduction zones, slow slip and nonvolcanic tremor, crustal deformation, recent earthquake activity and hazard mapping. Through our discussion, we reaffirmed the benefits of working together to achieve our common goal of reducing earthquake hazard, continued cooperation on issues involving densification of observation networks and the open exchange of data among scientific communities. We also reaffirmed the importance of making information public in a timely manner. The Panel visited sites along the east coast of Shikoku that were inundated by the tsunami caused by the 1946 Nankai earthquake where they heard from survivors of the disaster and saw new tsunami shelters and barriers. They also visited the Median Tectonic Line, a major onshore strike-slip fault on Shikoku. The 7th Joint Panel meeting was held in Seattle, Wash., U.S.A. from October 27–30, 2008. Download this report as a 122-page PDF file (of2008-1335.pdf; 9.2 MB). For questions about this report, contact Shane Detweiler.